A perfect gift with three selected sparkle Prosecco bottles for any taste! A gift box of wines from Villa Sandi, which includes 1 Prosecco DOC, 1 Prosecco DOCG Millesimato and 1 Prosecco Superiore DOCG Cuvée Oris. Great taste, straight out of Veneto. 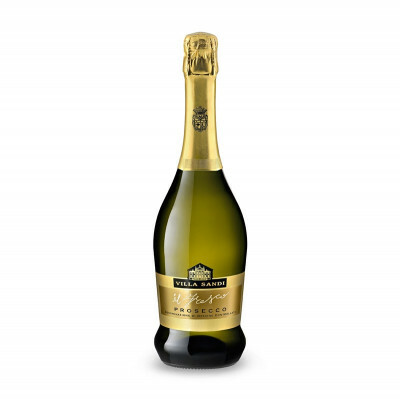 The Prosecco DOC Brut "Il Fresco" has a fine, persistent perlage with a fruity, flowery aroma and hints of ripe golden apple and small mountain flowers. The dry, fresh and flavoursome sensation on the palate is followed by a fruity and flavoursome aftertaste. Citrus and melon aromas fill the nose of this Veneto Prosecco with hints of fruit trees and a touch of vanilla. This finish has good length with crisp acidity. The perfect aperitif to accompany savouries, it's ideal with steamed shellfish. 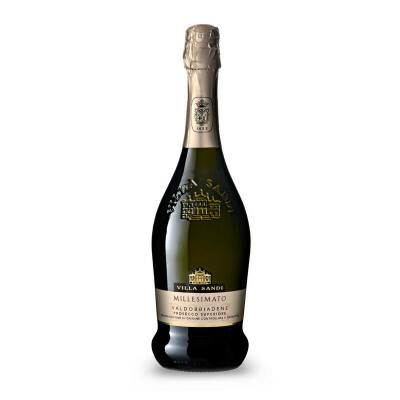 The Prosecco DOCG Millesimato Brut is a remarkable version of the classic Italian sparkling wine. Made in the cool, green hills of the north-east Veneto region, just north of Venice, its appeal lies in its simple, fresh fruitiness, fizzy bubbles and light, easily digestibility. Abundant in bubbles, it has a very fine, persistent perlage, accompanied by an intensely fruity aroma with clear hints of ripe, golden apple. A pleasant and flowery sensation that is reminiscent of acacia flowers. Fresh, slightly sweet and soft to the palate, it is flavoursome to the back of the tongue with an agreeably fruity, harmonious finish. Best served as an aperitif, it goes exceptionally well with herbs and thus would pair well with rosemary focaccia, marinated olives or fish or other herb based courses. 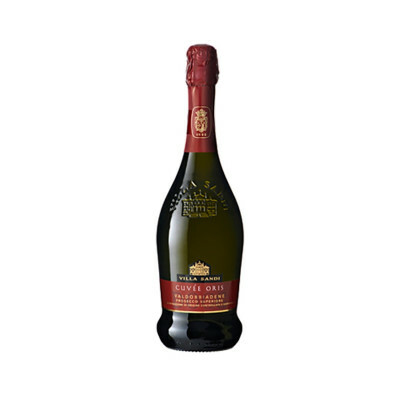 The Prosecco Superiore DOCG Cuvée Oris is a refined label of the Villa Sandi winery. The traditional bottle reminds the connection and respect for the local culture and the knowhow of the people. These characteristics are excellent in the Valdobbiadene area. The production area is called “Crus” and it is located in the highest part of the hill in the DOCG Valdobbiadene area. It has a polished straw yellow color with a fine perlage very persistent. The bouquet is quite fruity with ripen golden apple, banana and melon aromas. It has pleasant floral aromas of acacia flowers. The palate is fresh and seducing, lightly sweetish. The final is persistent. It is excellent with vegetarian risotto or with pasta flavored with herbs. It is excellent also with grilled white meat or fish. It has to be served in tall Flûte glasses at 6°C. 100% Glera. IT MAY CONTAIN SULPHITES.